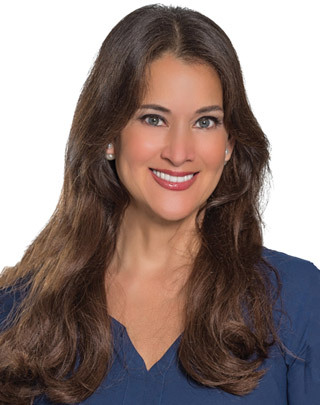 Karla Abaunza is the founder and broker of Luxury Living Realty, a leading real estate brokerage firm specializing on Fisher Island and high-end residential properties in South Florida. A series of remarkable achievements punctuate Karla's illustrious 22 year real estate career. Karla's efforts have always involved a brilliant combination of hard work, honesty, integrity, professionalism, impeccable reputation and top-notch technology is what makes Karla a " Power Broker" in every sense. Fluent in English, Spanish, French, and Portuguese. Working as a team with her husband, Jorge Escasena an ex media and advertising specialist with a remarkable career in numerous television networks and a hand selected group of highly respected real estate professionals set's Luxury Living Realty apart as a boutique real estate firm. Karla is known for providing support to her clients that goes beyond and above expectations. She utilizes her expertise in the real estate market to guide every client from start to finish by being there every step of the way. A master at building lasting relationships by gaining the trust of buyers and sellers through smooth closings making their real estate experience a great one.